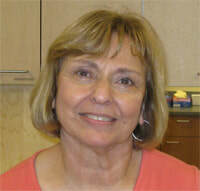 Dr. Mary Olson is board certified and completed her Pediatric residency at University of California San Francisco-Fresno. She received her osteopathic doctorate degree from Western University of Health Sciences in Pomona, CA. As an osteopath physician, Dr. Olson believes that the body has an innate ability to heal itself and approaches the whole person (physical, emotional, spiritual) rather than just the illness or disease. ​She was born in the Middle East and is fluent in Arabic. She has a large extended family and prioritizes time with family, which serves to give balance in her life. She is married to a very supportive husband and has an adorable and adventurous son. Her medical interests include adolescent health, nutritional and weight issues, ADD/ADHD, and asthma. She is on staff at Providence St. Vincent Medical Center. She enjoys all moments with her family, cooking, gardening, and interior design/architecture. Dr. Olson is excited to join the Integrative Pediatrics team, where she can care for your child with a holistic approach. Dr. Johnson comes to us from the local Portland area. She has had numerous years of pediatric experience, and enjoys the rewards of helping each patient that she sees. In her spare time, Dr. Johson enjoys reading, gardening, and spending time with her family. Dr. Carol Squyres was born and raised in NorthEastern Pennsylvania, attended medical school at Temple University in Philadelphia, and completed her pediatric training at University of California, San Francisco. She is a board certified fellow of the Academy of Pediatrics. She is married with two grown daughters, as well as a new delightful granddaughter. Dr. Squyres began her medical career with her husband providing preventive health care to migrant farm workers in California. She then worked in her own private practice in Bakersfield, California, for 12 years. While in Bakersfield, Dr. Squyres served as Chief of Pediatrics for two community hospitals and taught residents at Kern Medical Center. Desiring to return to the East coast to be near family, Dr. Squyres joined DuPont Hospital for Children as physician-in-charge of a satellite clinic in Middletown, Delaware, where she worked for 12 years. She was director also of a pediatric extended care unit and a pediatric on-call service. ​Amanda Watters, ND joined Integrative Pediatrics as the first Naturopathic Doctor provider in 2018 after nearly 4 years of mentorship from Dr. Paul. She is also an attending physician and Course Co-director for Pediatrics & Geriatrics at National University of Natural Medicine (NUNM). She graduated from NUNM where she then completed three years of residency, and was the Chief Resident in her final year. In 2017 she also served as the University’s Lead Pediatric Clinician for the Soy Sano/I’m Healthy Grant, which helped provide access to medical care for uninsured pediatric patients. She has a strong interest in developmental and behavioral pediatrics, and a passion for destigmatizing mental illness. Dr. Watters offers workshops on Suicide Prevention and trains medical providers and students to skillfully invite an open dialogue on the subject. She finds that the first place we must all start is with ourselves – we have to become more comfortable and skilled in having conversations about mental illness before we can expect others to do the same. When not practicing medicine, you can find her spending time with her partner exploring the Portland Japanese Garden, frequenting their favorite Thai food restaurant, or planning her next adventure abroad. Dr. Surprenant is a licensed naturopathic physician completing her first year of residency. While in naturopathic medical school, she completed rotations in family medicine, pediatrics, women’s health, and natural childbirth. Dr. Surprenant was first inspired by naturopathic medicine while working at Pacific Quest, a nature-based therapy program for adolescents on the Big Island of Hawaii. She still feels adolescents have one of the toughest jobs out there and loves to support them with stress management techniques, nutrition, botanical medicine, and individualized supplementation. When she’s not practicing medicine, Dr. Surprenant can be found either in the woods hiking with her dog Lucas or in her kitchen putting an anti-inflammatory spin on favorite recipes. She received her doctorate in naturopathic medicine from the National University of Natural Medicine in Portland, Oregon and earned her undergraduate degree from Colgate University in Hamilton, New York.